Issue Based Consulting (IBC) is a process driven non-proprietary technique for professional consulting. 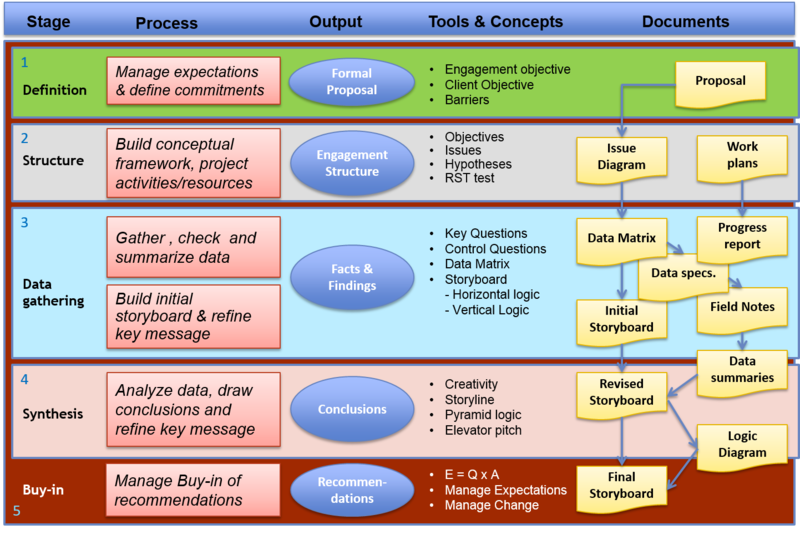 The method is also used by consulting firms like McKinsey, Booz & Company, PriceWaterhouseCoopers and IBM Consulting. It supports consultants and other professionals in managing a consulting engagement the most efficient way. It enables the consultant to reach the best possible solution in a limited time-frame and manages clients' adoption of the solution and ultimately managing the implementation of the solution. The method is also know as the 5 stage consulting process framework and is the ultimate answer for consultants or consulting firms with a desire for a professional, structured and well defined approach to consulting. Download the latest flyer or check out the IBC training course And of course you can ask us anything.